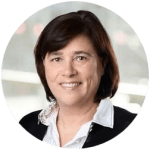 Ana Langer, MD, joined the Harvard T.H.Chan School of Public Health in July 2010 as a Professor of the Practice of Public Health (Department of Global Health and Population) and director of the Women and Health Initiative and Maternal Health Task Force. Dr. Langer, a reproductive health expert, is respected as a leader in using research findings to influence policy and improve the overall quality of health care for women and families. 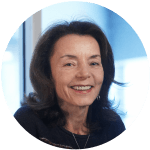 Before joining the Chan School, Dr. Langer was president and CEO of EngenderHealth (2005-2010), an international nonprofit organization. Based in Mexico, Dr. Langer was the Population Council’s regional director for Latin America and the Caribbean from 1994-2005 and the director of the global reproductive health program in 2002 and 2003. Previously, she was the chair of the Department of Research in Women and Children’s Health for the National Institute of Public Health in Mexico (1988-1994), where she led clinical trials and other research projects, and established the first master’s program in reproductive health in Latin America. Rifat Atun, MBBS, MBA, DIC, FRCGP, FFPH, FRCP is Professor of Global Health Systems at the Harvard School of Public Health and Director of the Global Health Systems Cluster. Previously, he was Professor of International Health Management at Imperial College London, where he led the Health Management Group and remains a Visiting Professor at the Faculty of Medicine. From 2008 to 2012 Professor Atun served as a member of the Executive Management Team of the Global Fund to Fight AIDS, Tuberculosis and Malaria in Switzerland as the Director of the Strategy, Performance and Evaluation Cluster. Dr Atun’s research focuses on global health systems, global health financing, and innovation in health systems. He has worked at the UK Department for International Development Health Systems Resource Centre as regional manager for Europe and Central Asia and has acted as a consultant for the World Bank, World Health Organization, and other international agencies globally to design, implement and evaluate health system reforms, and has published around 200 articles. Zulfiqar A. Bhutta, MBBS, PhD, FRCP,RCPCH is the Robert Harding Inaugural Chair in Global Child Health at the Hospital for Sick Children, Toronto, co-Director of the SickKids Centre for Global Child Health, and the Founding Director of the Center of Excellence in Women and Child Health at the Aga Khan University. He also holds adjunct professorships at leading universities, including the Schools of Public Health at Johns Hopkins (Baltimore), Tufts University (Boston), University of Alberta, as well as the London School of Hygiene & Tropical Medicine. He is a designated Distinguished National Professor of the Government of Pakistan and was the Founding Chair of the National Research Ethics Committee of the Government of Pakistan from 2003 to 2014. 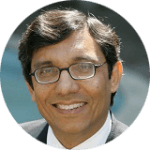 Dr. Bhutta is part of the seven-member Independent Expert Review Group (iERG) appointed by the UN Secretary General for monitoring global progress in maternal and child health Millennium Development Goals (MDGs). 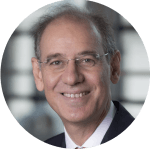 He represents the global academic and research organizations on the GAVI Alliance Board, and is the co-Chair of the Maternal and Child Health oversight committee of the World Health Organization’s Eastern Mediterranean Regional Office as well as the Global Countdown for 2015 Steering Group. Dr. Bhutta was educated at the University of Peshawar (MBBS) and obtained his PhD from the Karolinska Institute, Sweden. He is a Fellow of the Royal College of Physicians (Edinburgh and London), the Royal College of Paediatrics and Child Health (London), American Academy of Pediatrics, and the Pakistan Academy of Sciences. He heads a large research team in Pakistan with a special interest in research synthesis. Dr. Bhutta’s research interests include newborn and child survival, maternal and child undernutrition, and micronutrient deficiencies. 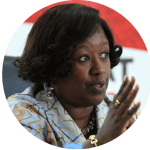 Agnes Binagwaho, MD, PhD is a Rwandan pediatrician and serves as Minister of Health of Rwanda. After practicing medicine for over 15 years, Dr. Binagwaho joined the National AIDS Control Commission as Executive Secretary in 2002. She then served as Permanent Secretary in the Ministry of Health from October 2008 to May 2011. She currently is a Senior Lecturer in the Department of Global Health and Social Medicine at Harvard Medical School, and a Clinical Professor of Pediatrics at the Geisel School of Medicine at Dartmouth. Dr. Binagwaho is a member of the Editorial Boards of Public Library of Science Medicine and the Journal of Health and Human Rights. 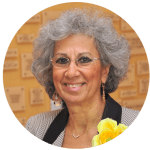 She chairs the Rwanda Pediatric Society, the Rwanda Country Coordinating Mechanism of the Global Fund, and is a member of the Global Task Force on Expanded Access to Cancer Care and Control in Developing Countries. Dr. Binagwaho also serves on the International Strategic Advisory Board for the Institute of Global Health Innovation at Imperial College London. She received an Honorary Doctor of Sciences from Dartmouth College in 2010, and is presently pursuing her Ph.D. at the National University of Rwanda. 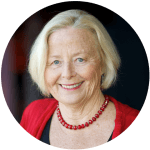 Ruth Bonita, MPH, PhD, MD (hon) is an Emeritus Professor at the University of Auckland, New Zealand and is a co-director of International Public Health Consultants, a New Zealand based agency addressing health policy in New Zealand, the Pacific, and globally. She gained her interest in disease prevention, surveillance and control through her studies on the epidemiology and management of stroke which have spanned almost three decades. Between 1999 and 2005 she was the director of Non-communicable Disease Surveillance at the World Health Organization, Geneva, where she was involved with mapping the advancing epidemics of stroke and other chronic diseases and the major risk factors which predict them. During her tenure at the WHO, she led the development a simplified surveillance system, the WHO STEP wise approach to Surveillance (WHO STEPS), suitable for collection of standardized data in low and middle-income countries where the gaps in information for policy are the greatest. 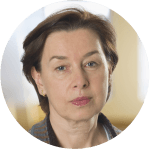 Her current interests are supporting the development of national prevention and surveillance activities and working closely with international Non-Governmental Organizations. Professor Bonita brings a strong public health perspective to her work and is committed to reducing the impact of stroke and other NCDs on families, communities, and health systems, especially in low and middle income countries. She is a member of the Lancet NCD Action Group, which, together with the NCD Alliance, developed a small set of priority actions to address the global NCD crisis in preparation for the UN High-Level Meeting on NCD prevention and control, September 2011. 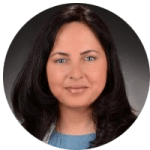 Mariam Claeson, MD, MPH, has been the Director of the GFF since October 2016. She is a recognized expert on global health issues, with deep experience in addressing the particular challenges faced by women, newborns and children. She previously served as the Director for Maternal Newborn and Child Health at the Bill & Melinda Gates Foundation, which she joined in July 2012. Prior to that, she was the Regional Program Coordinator for AIDS in the South Asia Region of the World Bank (2005- 2012) and the Lead Public Health Specialist in the Health, Nutrition and Population, Human Development Network of the World Bank (1996- 2004). Before joining the World Bank, Dr. Claeson worked with the Global Program for the Control of Diarrheal Diseases, World Health Organization (1987-1995). She has worked in clinical practice at the rural district level (Tanzania, Bangladesh and Bhutan); in national immunization and diarrheal disease control (Ethiopia 1984-1986); and, for the World Bank in health sector development programs in middle- and low-income countries, including in Egypt, Jordan, Uzbekistan, China and the Philippines and in national HIV/AIDS programs, including in Afghanistan and India. France Donnay, MD, FACOG, FRCOG, MPH, practiced obstetrics and gynecology in public and private hospitals as well as family planning clinics in Brussels from 1970 – 1993. Because of her interest in maternal health in developing countries, during these 15 years she also worked as a consultant to the World Health Organization, the World Bank, and the United Nations Population Fund (UNFPA). With Doctors without Borders, she practiced as a MH specialist in places such as Chad and Cambodia. She was Visiting Professor at the Institute of Tropical Medicine in Antwerp, Belgium. In 2008, she joined the Bill & Melinda Gates Foundation as the Senior Program Officer for Maternal Health, in the MNCH team. There she managed a large portfolio of projects addressing maternal conditions, such as hemorrhage and preeclampsia, as well as maternal health programs in India, Ethiopia and other low income countries. 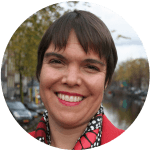 She works closely with FP and newborn health experts, and contributes to updating and strengthening global MH and FP policies. In August 2015, she decided to retire from the Gates Foundation in order to devote time to family, and friends, travels and art exhibitions, and she is working as a consultant and adviser on maternal and women’s health issues. Felicia Knaul, MA, PhD, is an international health economist and expert in Latin American health systems and social sectors. Dr. Knaul is a Professor in the University of Miami’s Department of Public Health Sciences at the Leonard M. Miller School of Medicine. She is also director of the Institute for Advanced Study of the Americas. Previously, she was Associate Professor at Harvard Medical School and director of the Harvard Global Equity Initiative (HGEI), where she served as director of the Global Task Force on Expanded Access to Cancer Care and Control (GTF.CCC), an initiative she helped to found in 2009. She has held senior government posts in Mexico and Colombia and worked for bilateral and multilateral agencies including the World Health Organization, the World Bank, and UNICEF. She maintains a research base in Mexico anchored at the Mexican Health Foundation and the National Institute of Public Health of Mexico. After being diagnosed with breast cancer in 2007, Dr. Knaul founded the Mexican non-profit organization, Cáncer de Mama: Tómatelo a Pecho, which promotes research, advocacy, awareness, and early detection initiatives for breast cancer in Latin America. Through Tómatelo a Pecho, thousands of health promoters, nurses, and physicians throughout Mexico have been trained to help women from low-income settings access timely care for breast cancer and reduce health disparities. Dr. Knaul’s publications on her cancer experience include Tómatelo a Pecho (Santillana, 2009) and Beauty without the Breast (Harvard University Press, 2012). 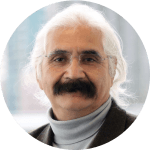 Rafael Lozano, MSc, MD, is Director of Latin American and Caribbean Initiatives and Professor of Global Health at the Institute for Health Metrics and Evaluation (IHME) at the University of Washington. Prior to joining IHME, Dr. Lozano worked for seven years at the Ministry of Health in Mexico as the General Director of Health Information, where he coordinated the health information system for the Ministry of Health and the production of national health statistics, coordinating information from a number of health sector institutions in Mexico. Overseeing the health information system, Dr. Lozano played a critical role in the construction of Mexico’s health reform through a systematic approach to evidence building. Naomi Seboni, RN, RM, PhD, is the head of the School of Nursing in the Faculty of Health Sciences at the University of Botswana. She has published widely in the fields of adolescent sexuality and risk-taking behaviors; adolescents living with HIV and AIDS; and community home-based care. 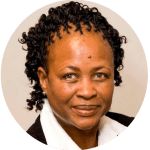 She is a former President of the Nurses Association of Botswana, and a former member of the ICN Council of National Representatives. Dr. Seboni was a founding member and past president of the STTI African Chapter. She has served as a consultant and provided technical support to international organizations including UNICEF, UNFPA, PATH and WHO. At WHO she contributed to the strategic plan for nursing and midwifery, and nursing and midwifery training in sub-Saharan Africa. 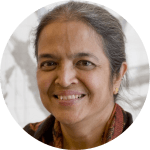 Gita Sen, BA, MA, PhD is a Development Economist at the Centre for Public Policy, IIMB and Adjunct Professor of Global Health and Population, Harvard School of Public Health. Her research areas are broadly on human development with a focus on Health, Population, Gender and Development, and Inequality. She directs the Gender and Health Equity Project, an action-research project that has been working since 2000 in Koppal, a district in northern Karnataka. The project targets communities and health providers and works to improve the functioning of the public health system. Dr. Sen is on a number of national and international boards and committees, including the Mission Steering Group of the National Rural Health Mission and on the Governing Body of the National Health Systems Resource Centre. She is the President of the Health Economics Association of India. Dr. Sen has worked over many years with different agencies of the United Nations System, including UNDP, WHO, UNFPA, the UN Research Institute for Social Development, the UN University, and UN Women as well as its predecessor body, UNIFEM. 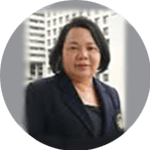 Siriorn Sindhu, BEd, MS, DNSc, is an Associate Professor in the Department of Surgical Nursing at Mahidol University. She has a clinical specialty in women’s health and rights and in health system research. In 2007 she was awarded the UCSF Nursing Centennial “Wall of Fame” as one of the 100 outstanding alumni and faculty making significant contributions to the nursing profession and health care. Meltem Aran, PhD, is a human development economist with research focusing on poverty, inequality and overall distributional impact of social policies. Since 2004, she has been involved in various research projects and impact evaluations relating to poverty and human development with the World Bank in East Asia, ECA and MENA regions. Most recently she has been working on issues of gender, women’s empowerment, children’s outcomes in low opportunity settings and the impact of inclusive social policies on children in developing countries. She is co-author of the book entitled “Life Chances in Turkey: Expanding Opportunities for the Next Generation” published by the World Bank. Dr. Aran is a research affiliate with the Harvard Global Equity Initiative. 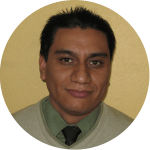 Héctor Arreola Ornelas, MSc is the Health Observatory Project Coordinator at the Initiative for America and the Caribbean, operated jointly between the Carlos Slim Health Institute and FUNSALUD. He is also Economic Research Coordinator and Researcher for the Competitiveness and Health Promotion Council at the Mexican Health Foundation. In 2005 he was awarded First Prize in the Global Development Network’s Global Development Awards and Research Competition in the category of Health and Institutional Development for his work “Preventing impoverishment, promoting equity and protecting households from financial crisis: Universal health insurance through institutional reform in Mexico”, written in collaboration with Felicia Marie Knaul, Oscar Méndez, and Martha Miranda. 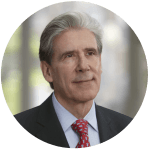 His research lines span financial protection, health policies and systems, labor economics, economic evaluation, and competitiveness and health. Jacquelyn Caglia, MPH joined the Women and Health Initiative (W&HI) in August 2011 where she currently serves as the Associate Director. Before joining the W&HI, Ms. Caglia was Program Director at World Connect, a nonprofit organization dedicated to improving the health and well-being of women and children in low-resource settings. Prior to this, Ms. Caglia worked with the Institute for Community Health as a researcher investigating how race, ethnicity, language and culture affect health and the quality of healthcare services. 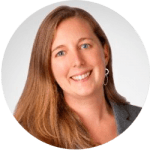 She has worked with many organizations addressing women’s health, including the Massachusetts Alliance on Teen Pregnancy and Circle of Health International, to evaluate their health interventions and communicate about their work. Ms. Caglia also has extensive experience in training development and grant writing and has held various positions focused on local and international health, including work in survey administration with John Snow, Inc., in community outreach and case study development with the Montgomery County Health Department in Pennsylvania, and with the Peace Corps, serving as a community health specialist in the Dominican Republic. 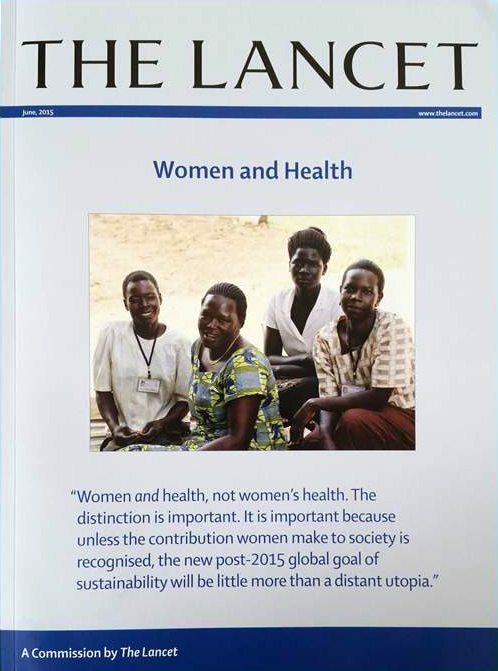 Justine Davies is the Editor in Chief of The Lancet. 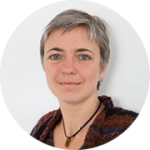 She has been an editor with The Lancet since 2010, starting as a Senior Editor and then as an Executive Editor. 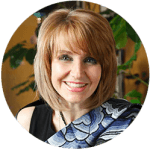 She trained as a physician and has a research and clinical practice background in diabetes and cardiovascular disease. Starting January 2017, Justine is on a research sabbatical at Wits University in South Africa. Jewel Gausman , ScD, MHS received her Doctor of Science degree from the Department of Social and Behavioral Sciences at the Harvard TH Chan School of Public Health. Her research focuses on the social determinants of sexual and reproductive health, with a particular focus on gender and women’s empowerment. Before entering her doctoral work at Harvard, she served as a technical advisor in the Office of Population and Reproductive Health at the US Agency for International Development (USAID) and focused on family planning research and research utilization. Jewel has a Masters of Science from the Johns Hopkins Bloomberg School of Public Health in International Health, and has worked internationally in a variety of countries such as Jordan, Liberia, Senegal, Nigeria, India, Timor-Leste, and Yemen. 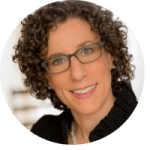 Caroline G. Glickman, MIM has more than 14 years of high-level administration and project management experience, leading large-scale, diverse initiatives for organizations in both the public and private sectors. Currently, she works for a global technology firm, managing various company-wide initiatives. Prior to this, she served as the Associate Director of the Office of the Dean at the University of Pennsylvania School of Nursing where she conducted research, managed and implemented a broad range of special projects in support of the School’s women’s health initiative, with a particular focus on the effects of urbanization on women. Caroline holds a master’s degree in international marketing and a bachelor’s degree in Spanish and marketing from Saint Joseph’s University in Philadelphia, PA.
Annie Kearns, MSc, is a masters-level nursing student at Yale University, where she is specializing in Midwifery and Women’s Health. From 2011-2015, she worked in various roles at the Women and Health Initiative, including on the Commission on Women and Health and on a project studying models of antenatal and postnatal care. Ms. Kearns received her MSc from the Department of Global Health and Population at HSPH. Before coming to Harvard, Ms. Kearns spent two years working with AED to increase access to medical journals for health care workers around the world. 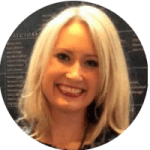 Her current clinical education is building upon a strong research background, particularly pertaining to antenatal care and early childhood nutrition. As an undergraduate at Cornell University and later as a graduate student, Ms. Kearns spent several months looking at breastfeeding practices across Brazil, from the Northeast to the Amazon region. Miriam Temin, MSc, is an expert on adolescent girls, sexual and reproductive health, social determinants of health, HIV, and social protection. She currently leads the Population Council’s capacity strengthening project for partners who are working to reduce HIV infections among adolescent girls and young women as part of the DREAMS Partnership. Miriam was the lead author of two reports in the Girls Count series—a series of evidence-based advocacy reports covering a wide range of issues that affect adolescent girls: Girls on the Move: Adolescent Girls & Migration in the Developing World, for the Population Council, and Start with a Girl: A New Agenda for Global Health, for the Center for Global Development. Prior to joining the Council, Miriam also served as a consultant to the Bill & Melinda Gates Foundation, she was a lead writer for The Lancet/Harvard Women and Health Commission report on the interplay between women’s health and caregiving roles, and she has also worked at UNICEF and DFID. At UNICEF, she laid the groundwork for the concept of HIV-sensitive social protection and managed their Orphans and Vulnerable Children Team. As Health Advisor for DFID/Zimbabwe, she oversaw DFID’s support to national programs on sexual and reproductive health and HIV. 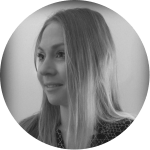 Miriam holds an MSc in Population & International Health from the Harvard School of Public Health. Tamil Kendall, PhD, MA, is the Director, Women’s and Maternal Health at Ministry of Health of British Columbia. She is specialist in gender and HIV in Latin America, having worked as a researcher and advocate in the region for more than a decade. Prior to accepting her position as Director of Women’s and Maternal Health at Ministry of Health she was a Canadian Institutes of Health Research Postdoctoral Research Fellow with the Women and Health Initiative at the Harvard School of Public Health. Her former institutional affiliations include the Population Council, UNFPA, and the UNAIDS Collaborating Centre at Mexico’s National Institute of Public Health. Tamil has also worked as a community-based researcher with civil society organizations and networks of people with HIV in both the global north and the global south. 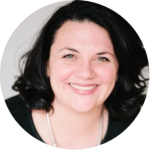 She holds a BA in History and Women’s Studies from the University of Ottawa, an MA in Communication from Simon Fraser University, and a PhD in Interdisciplinary Studies (Anthropology and Health Sciences) from the University of British Columbia. Her current research is focused on the integration of HIV and reproductive health, the reproductive rights of women with HIV, and innovative advocacy strategies to increase accountability and provision of high quality services in publicly funded health systems.